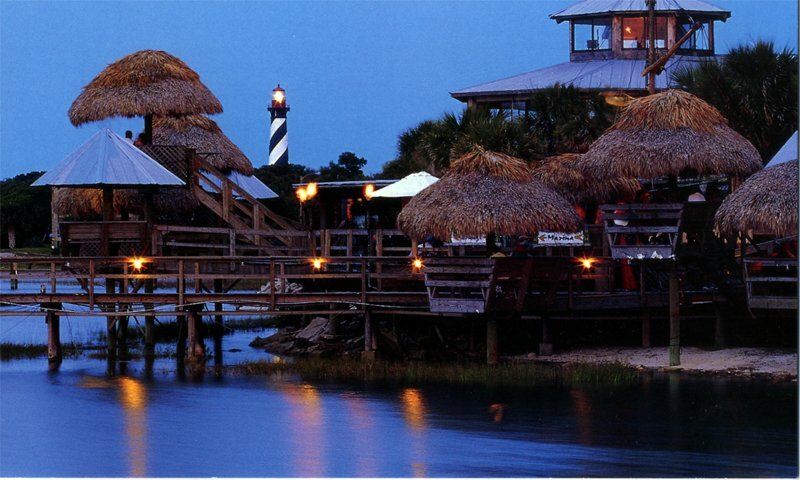 Conch House Restaurant is a St. Augustine staple known for their waterside dining. 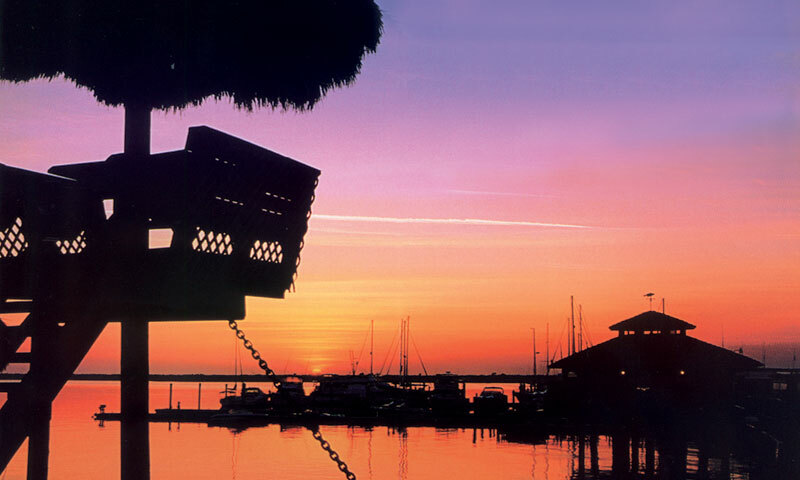 Visit the Conch House Restaurant and take a little trip to the Caribbean while staying in historic St. Augustine. 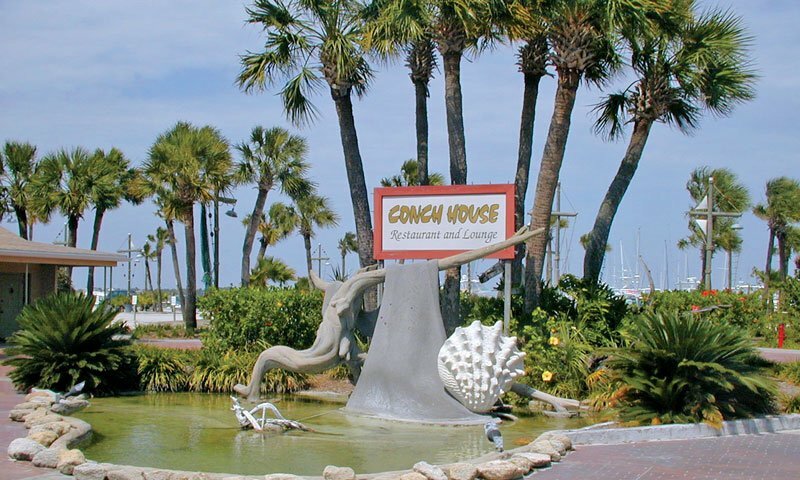 The Conch House Restaurant offers waterfront dining on its spacious patio, with open and covered seating available so come out rain or shine. Try out one of their elevated tables, complete with palm thatched roof for a great lunch or dinner experience. They specializes in seafood and Caribbean style cooking. Fresh seafood, steaks, great chicken dishes, and delightful salads are all offered on their extensive menu choices. Try some of their delicious fried shrimp, Cancun chicken, Minorcan Burger, Caribbean chicken pasta, or twin filet mignons. This restaurant is great for the whole family, indoor and outdoor seating available. For a truly unique waterfront dining experience, the Conch House Restaurant has got it all! Open for Lunch & Dinner, seven days a week! Seating is on a first come, first serve basis, sorry reservations are not accepted at this St. Augustine restaurant. The Conch House offers catered dinners, and large group events. Organize a rehearsal dinner, family dinner, or corporate event with the Conch House Restaurant. This restaurant can accommodate parties from 30 to 150 guests; private event rooms are available and are individually priced. The Conch House restaurant is located within the Conch House property, which includes a marina, hotel accommodations, and a bar and lounge out on the marina dock. Reggae Sunday is offered throughout the summer, where local bands perform live music from 3 to 7pm. I've been here several times an have always had a great time. My food was really good. The tiki huts are fun. If you want one just be prepared to wait a bit. The bar is right there to help you pass the time. Absolutely love this place!! Saturday night was our last night in St. Augustine....originally planned on eating somewhere else but the traffic across the bridge was at a standstill. My friend and I decided to try The Conch. Oh....the atmosphere, drinks, food and service was top notch!!!! No complaints here!!! Olivia was our server, and she was the best!!! One of the better places to get seafood. Met up with some friends and relatives for a really nice meal and great evening. I have tried Shrimp Grits all up and down the Florida and Georgia Coast. Theirs are among the best I have had, and I don't like grits. A little windy the day we were their which makes for an interesting meal in the Tiki huts but everything else was great. I don't give 5's but they are close. You are paying for the ambience . The locaiton and set up is great. However the food, tastes much of the same as any other decent fish house/seafood restaurant. It is a bit pricey, but certainly worth a visit. Excellent drinks and appetizers. Definitely try to sit in one of the huts. Our party had a good time enjoying the atmosphere and tasty food.